Beads Art was established in the year 1994, at Aligarh, (Uttar Pradesh, India). 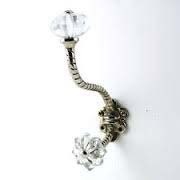 we are elite and most professional Manufacturer, Exporter and Supplier of Glass & Drawer Knobs, Ceramic Knobs, Crystal Door Knobs, Door Handles, Mix Glass Beads, Wall Hooks, Fashion Jewellery, Designer Bracelets and Cabinet Knobs. We Our engineers are experts and brilliant in this realm. They use most modern machines, technology and expertise to manufacture this assortment of gamut. We believe in offering quality assured goods to our respected patrons to make them contented and satisfied. Our main motive is to make them happy and delighted with our company. Our proffered goods are durable, reliable and economical. These feature make our assortment rank first in the patron choice.